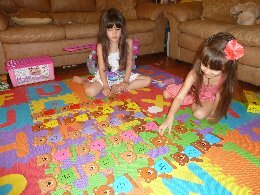 Google+ Mom to 2 Posh Lil Divas: Brown Bear, Brown Bear - Even More Fun With Bears! Brown Bear, Brown Bear - Even More Fun With Bears! 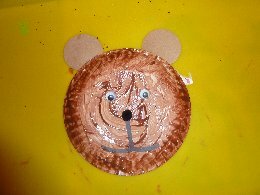 Today, I'd like to share our Brown Bear activities, crafts, snacks & fun with you. 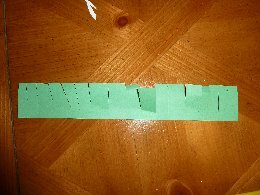 Number Order﻿ 1-10 Practice - for this I bought bear cut out and wrote the numbers 1 thru 10 on them. I mixed them up and had the Lil Divas put them in numerical order. 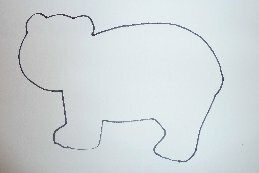 You could easily do this with bear cut outs out of brown construction paper too. 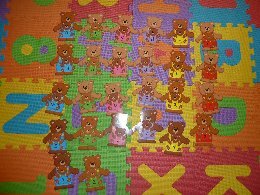 ABC Upper/Lower Case Match﻿ - I used large and small bear cut outs that I had purchased and wrote the Capital letters on the larger bears and lower case letters on the small bears. 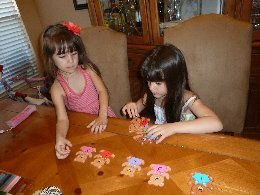 The girls then had to match the "Baby" Bears (lower case letters) to the correct Mommy/Daddy Bear (Capital letters). 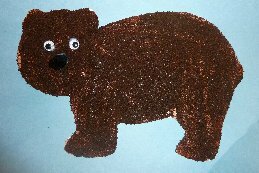 Hope you enjoyed our Brown Bear fun! 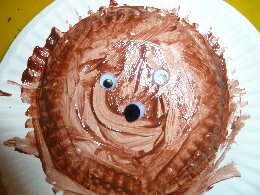 Eric Carle Theme, and our Polar Bear and Panda Bear activities too! 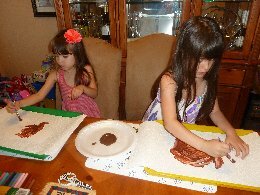 as a retired teacher, I love what you do with your munchkins!!! 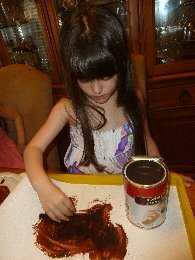 I love the coffee grounds idea - my daughters will love the activity. 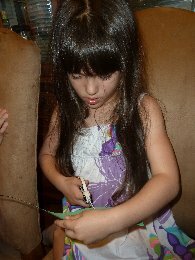 I'm now a follower of your blog...stop by www.addicted2tutes.blogspot.com anytime! 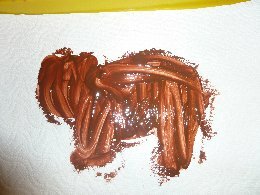 I did, in fact, enjoy your Brown Bear Fun! 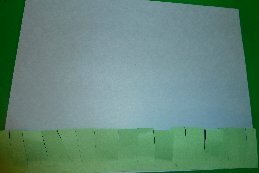 I will now go look at your Panda and Polar bear activities. It's probably time for us to do a Bear Unit! I like the textured coffee bear. We don't drink coffee though, so we don't have any in the house. We have Bear wants more. What fun ideas! 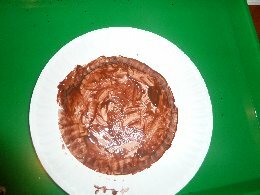 I love the bear shapred french toast. How cute! Thanks for sharing this at For the Kids Friday at SunScholars! I will be posting the next party tonight. I hope to have you linking up again this week! Ooo that reminds me we haven't had French Toast in AGES! 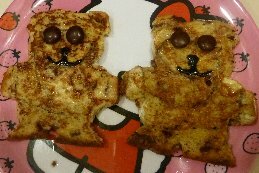 Yummy and the Coffee Bears look fantastic! How fun! 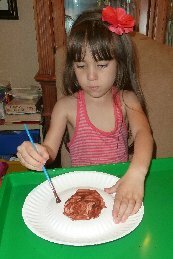 Thank you as always for linking to Kids Get Crafty! Beary cute activities! 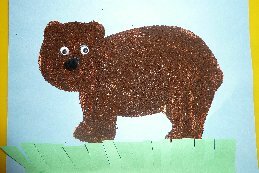 I love your textured bear. 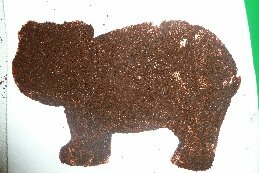 Loving your coffee grounds brown bears and french toast! I've used cinnamon before and that works well also.